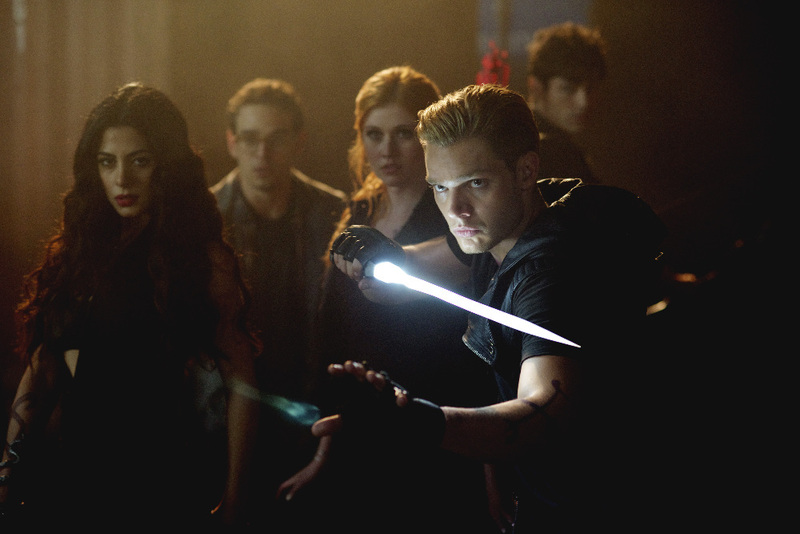 The overnight ratings are in for the fifth episode of Shadowhunters. “Moo Shu to Go” nabbed a 0.5 rating in the 18-49 key demographic and 0.95 million viewers in the U.S., which was up a tenth from last week’s series low 0.4 rating. Shadowhunters beat out Teen Wolf (0.4, 0.88 million) and The Shannara Chronicles (0.4, 0.80 million) in ratings and viewership. I’m glad to see the ratings go up again. People need to give the series more of a chance. It’s still early days and series take time to develop and the characters and relationships to develop as well. What people need to realise is that no book adaptation is ever page for page or word for word. They always make changes. You look at The Vampire Diaries and Pretty Little Liars, they are NOTHING like the books and the characters look nothing like the book characters descriptions. We’ll never see City of Ashes brought to life if we don’t give the tv series more of a chance. The only thing I personally would really like to see changed is all the extra people in the institute and the high tech stuff got rid of! I think that’s good news! People must be adapting to/accepting the changes (I know I have) and Izzy’s been my biggest issue…it just me or are they toning down her flirtatiousness a bit, as well as starting to give her somewhat less revealing clothes? I don’t know if that’s good or bad, but I’m loving the show. Yes, the actings pretty bad, and the plot got flipped on its head… Oh, and Valentine looks like a European gigalow… but I’m loving it. Most first seasons of any show are a bit rocky. In my humble opinion I think the actors need to dial the angst down, just a smidge. Jace has completely lost his lazy snark. That’s what we initially loved about his character. Dial down the angst and frenzied running around. Let their characters evolve instead of push it. The writers are to blame. This episode was the best paced so far. It felt far more fluid. Happy about that.